Way back in time, longer ago than I care to remember, one of the highlights of life at boarding school in England was listening on a clandestine transistor radio to a mad late night comedy show, I’m Sorry, I’ll Read that Again. One of the performers was a young Eric Idle, not long down from Cambridge: others included Graeme Garden, John Cleese and Bill Oddie. Later, after I had left school, I went to a recording session, even madder than the finished product. It was the 1960s, and Britain was emerging from post war gloom into a new, wacky daylight of comedy, culminating in the great Monty Python. Idle and Cleese were two of the stars, but the mainspring of the Python genius was the fact that it was ensemble work, and the disparate characters who made up the team managed to create together, and despite rumours to the contrary, remain friends to this day. 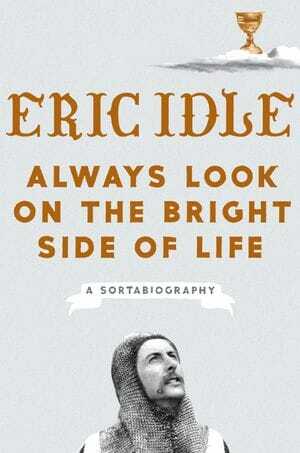 In this book, which is subtitled “A Sortabiography” Idle tells the story of his life, from his tragic childhood – his father was killed in a traffic accident on his way home from the Second World War – through his dismal schooldays and on to life as a Python and increasing celebrity. He is also the creator of the song that gives his book its title, and is the most popular choice at British funerals. And the brains behind the musical Spamalot. The name-dropping is pretty relentless, but they are names to conjure with. Idle was a close friend of George Harrison and Robin Williams and still is close to Steve Martin – and, of course, the remaining Pythons, sadly now without Graham Chapman or Terry Jones, who, though still alive, has slipped into a twilight world of dementia. By turns hilarious and moving, Always Look on the Bright Side of Life is also a fascinating portrait of an era when comedy had a hand in changing the world and shaking out the comfort zones. We could do with some of that outrageous humour now.